OPTIMA @ TANAH MERAH is located at 78 - 88 TANAH MERAH KECHIL AVENUE in district 16 (Bayshore, Bedok, Chai Chee) of Singapore. 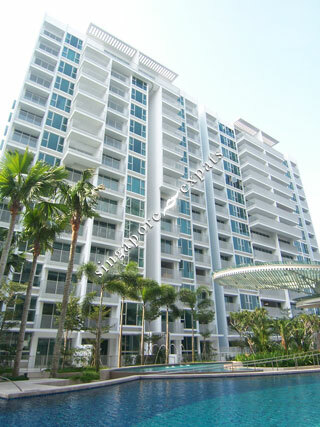 OPTIMA @ TANAH MERAH is a 99-year Leasehold Condo development consisting of 297 units. OPTIMA @ TANAH MERAH is completed / TOP in 2012 (estimated), developed by TID PTE LTD.
Educational institutions like ONE WORLD INTERNATIONAL SCHOOL, NPS INTERNATIONAL SCHOOL, SEKOLAH INDONESIA, ST. ANTHONY'S CANOSSIAN PRIMARY SCHOOL, BEDOK GREEN PRIMARY SCHOOL and TEMASEK PRIMARY SCHOOL are near to OPTIMA @ TANAH MERAH. OPTIMA @ TANAH MERAH is accessible via nearby TANAH MERAH, SUNGEI BEDOK and SIMEI MRT Stations. Ideal condominium for locals & expats alike. Great quality. Pool facing units have a beautiful view and are very quiet. Highlight is proximity to met.. directly outside the gates. Noise noise noise and finishing quality is not too good. Quality finishing. Ease of access to all parts of the island. Cosy development with only 297 units. Very comfortable and nice place to stay in.